Food, supplies and funds are also needed to care for and treat the animals in the Appalachian Wild Urgent Care. Check the Wishlist and make a donation online. Before mailing, wash wands in warm soapy water to remove residual mascara. ​Mail form, old wands & donations to: P.O. Box 1211, Skyland, NC 28776. Check postage and packaging requirements at your local post office. Many packages are arriving with postage due. Please do not purchase new wands - the program is for recycling old wands. ​Instead, please donate food or supplies from the Wishlist or make a donation. With the wave of a magic wand, wild lives are being saved. ​Show your support and buy a shirt! Give the animals a second chance at life in the wild! Check out the wishlist of food and supplies needed for the care and treatment of the injured and orphaned animals. ​Make a donation today. 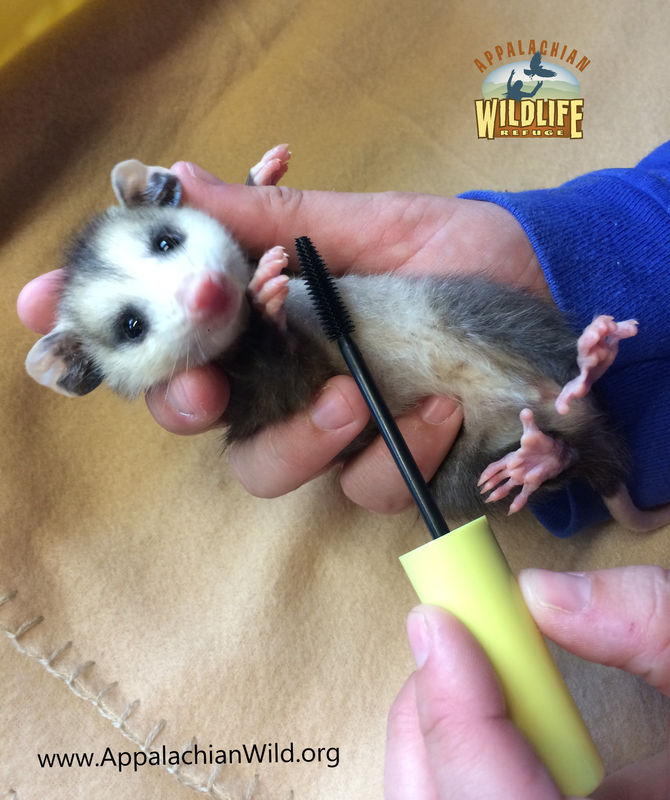 With over 2,000 animals expected in 2019, your support will save wild lives!